Dream It, Live It, Own It! 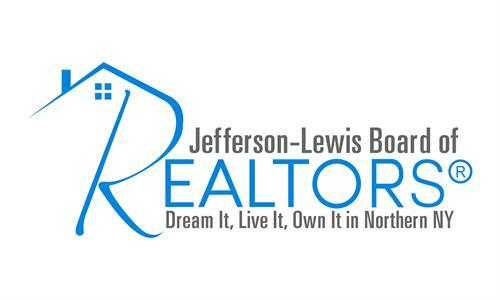 The mission of the Jefferson-Lewis Board of REALTORS® is to advocate for its members by providing technology, education, and resources to enhance REALTOR® professionalism and competency. We help our members conduct their business successfully, with integrity, while promoting and enforcing ethical standards. We will continually strive to provide the public with information on the importance of working with a REALTOR® while promoting a positive image. In the back right corner of the Liberty Building (as you face the building from Court St). Also in the building the Contract Post Office, Watertown Vet Center, NRCIL, and Homestead Funding.